The Worcestershire Breast Unit Haven is situated on the site of Worcestershire Royal Hospital at 220 Newtown Road. The unit is in a spacious and private location overlooking the woods of the Countryside Centre and has its own tranquil gardens and visitor parking. The Unit was the vision of Consultant Breast Surgeon, Steven Thrush, who spearheaded the Worcestershire Breast Unit Campaign spanning 2009 to the end of January 2016, responsible for raising the £1.8 million to achieve the conversion of the NHS Acute Trust building which is now the reality of that vision. Thanks to the incredible tenacity and generosity of the people of Worcestershire who tirelessly raised funds and kept faith in the dream during some very tough times, the build was completed in February 2016 and welcomed its first patients through the doors. The facilitation of the unit’s day to day running is provided by the NHS Acute Trust however the charity based at the unit, Worcestershire Breast Unit Haven raise the funds to be able to provide the invaluable services of Breast Cancer Haven who offer complementary therapies on site at the unit and any clinical needs of the team over and above NHS provision to keep the unit at the forefront of patient care. In many ways the Worcestershire Breast Unit Haven belongs to the people of the county who have made it happen – all who have visited have agreed that the vision of a peaceful, private and non-surgical feel to the unit has been achieved and that the project has been delivered above and beyond expectation which has been an exciting and emotional thing for all who have been involved. The unit opens to a beautiful and spacious reception area with hand painted murals and colourful furnishings. 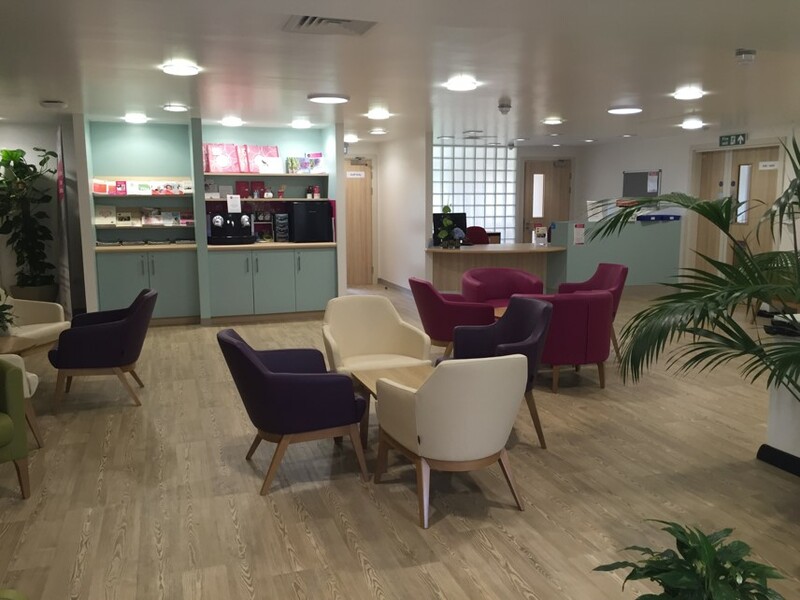 To the right is imaging offering its own reception area and to the left takes visitors through to several consulting rooms, changing facilities, a spacious and well-equipped prosthesis fitting room and a counselling room for quiet reflection and further advice. Beyond that, the hub for the clinical team including the breast care nurses and consultants brings the team together in one place assisting in rapid assessments and excellent on-site communication. The flow of the building has been designed so that visitors do not need to leave through the main reception if they do not wish to and dignity and privacy is preserved at all times in a warm and friendly atmosphere.